Sometimes kids prefer simple toy gifts over techno-friendly toys. 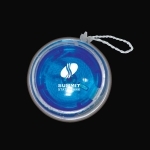 Custom logo imprinted light up yo-yo - 5 colors are perfect example of classic and simple promotional toy gifts. The kids will be drawn to your brand logo due to blinking red lights that flash when you play with these promotional yo-yos. Kids will appreciate the simple design and parents can relieve that their kids are amused a gift that doesn’t demand batteries, modem or power cord. 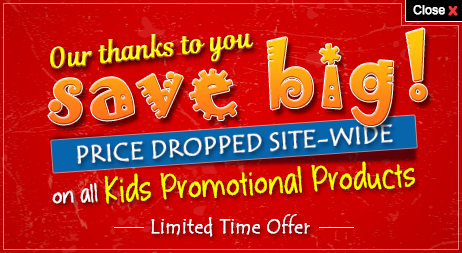 Logo printed yo-yos are ideal promotional giveaways for kids and perfect for children’s organizations, toy manufacturers and more. Order today to get started! 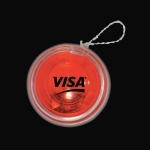 Request a quote to know wholesale savings for these personalized light up yo-yo - 5 colors.